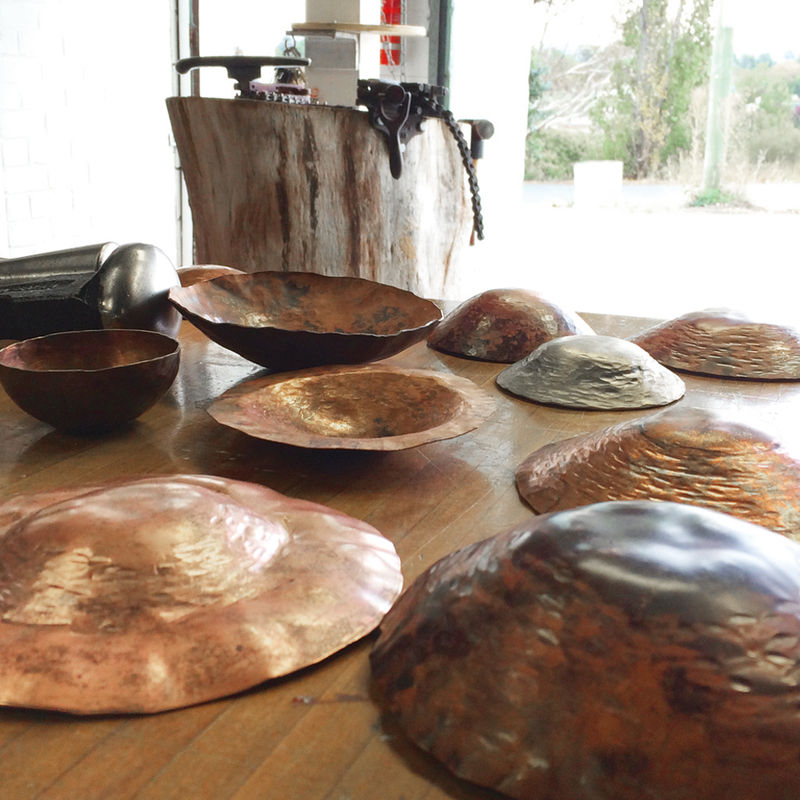 Learn the age old silversmithing technique of hand raising to create bowls and hollow forms in metal. 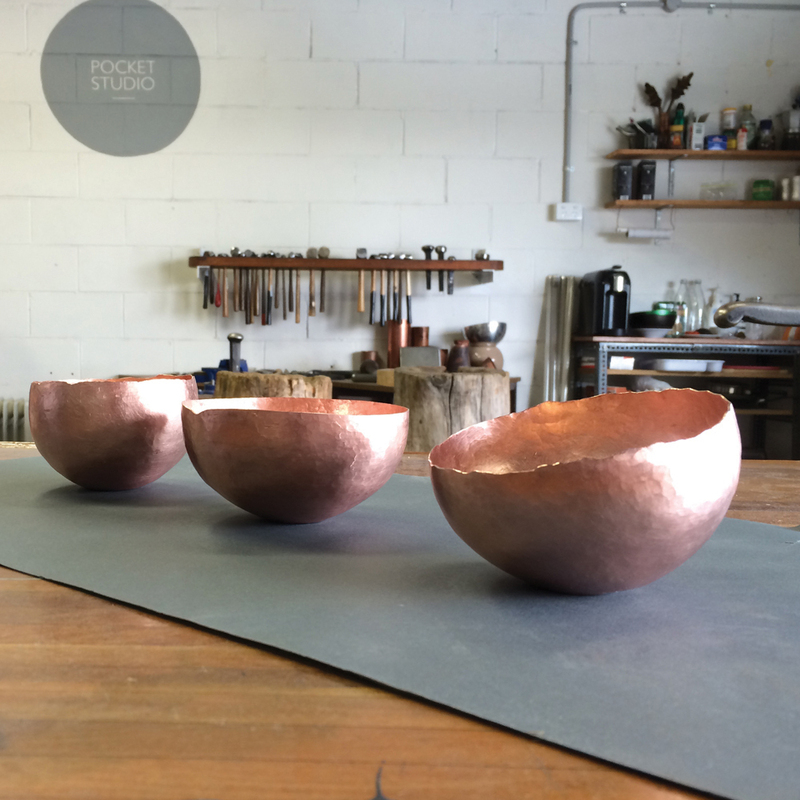 Using a variety of hammers and a selection of silversmithing tools you will be guided through each step of the hammering process to create your very own copper bowl. 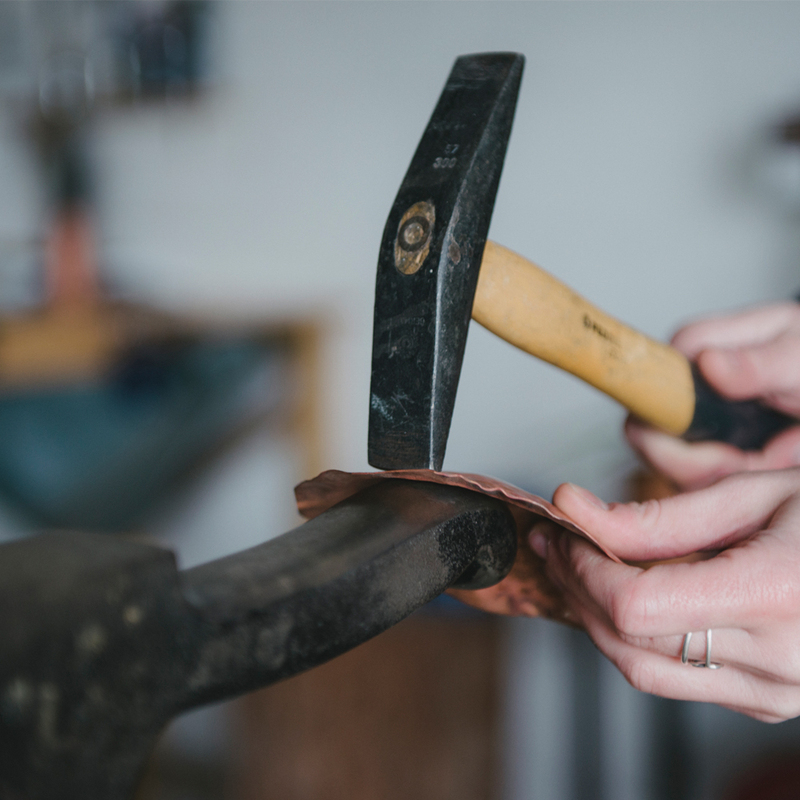 You will get lots of guidance and practice with the silversmithing techniques of sinking, raising and planishing, annealing and finishing. 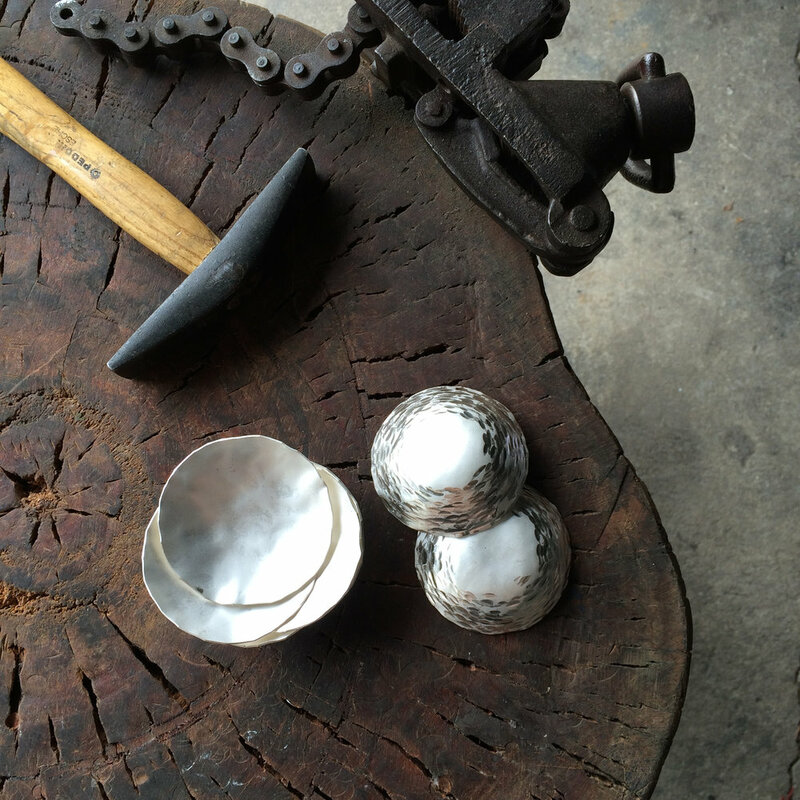 Taught by award winning silversmith Alison Jackson, it is an intensive but rewarding workshop. The class is restricted to a maximum of four people to allow for lots of one to one tuition. 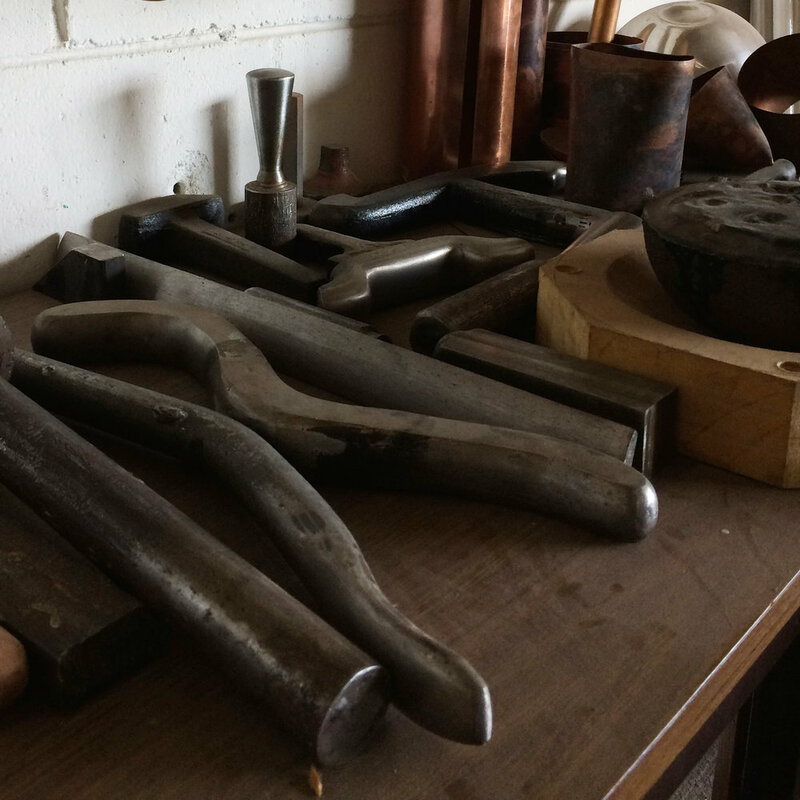 Silversmithing is a very labour intensive process, with quite repetitive movements through the elbow and shoulder. Students will need to have the steady use of both arms and be comfortable hammering and standing for long periods. You can see a little insight into the raising process through this video - watch here. Suitable for both beginners and those with experience, be prepared for an intense yet rewarding workshop.